Happy Free Book Friday! First, congratulations to Stephanie Van Horn, who’s won Masters of Disguise: Amazing Animal Tricksters. Stephanie, please send your address to publicity@lernerbooks.com so we can get your book in the mail. Today we’re giving away a copy of Believe Your Eyes, the first book in the Cici: A Fairy’s Tale series by Cori Doerrfeld and Tyler Page! A lot is changing for Cici. 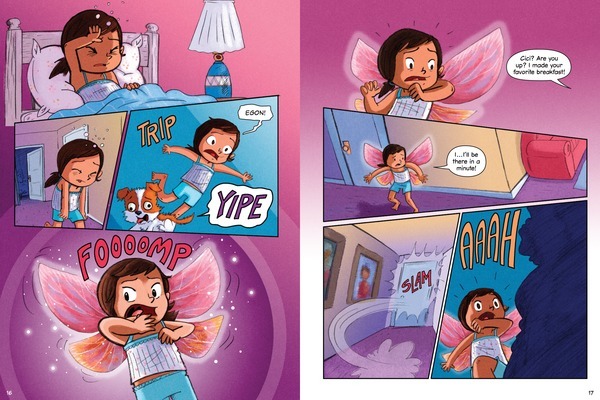 Her parents are separating, her wacky abuela is moving in, and on her tenth birthday, she wakes up with fairy wings! Cici’s new magical powers let her see people as they truly are. But what she learns about her friends and family isn’t always easy to accept. She has only one day to decide whether to keep her wings. When Cici wishes life could just be normal again, will she choose to believe in the power of fairies? 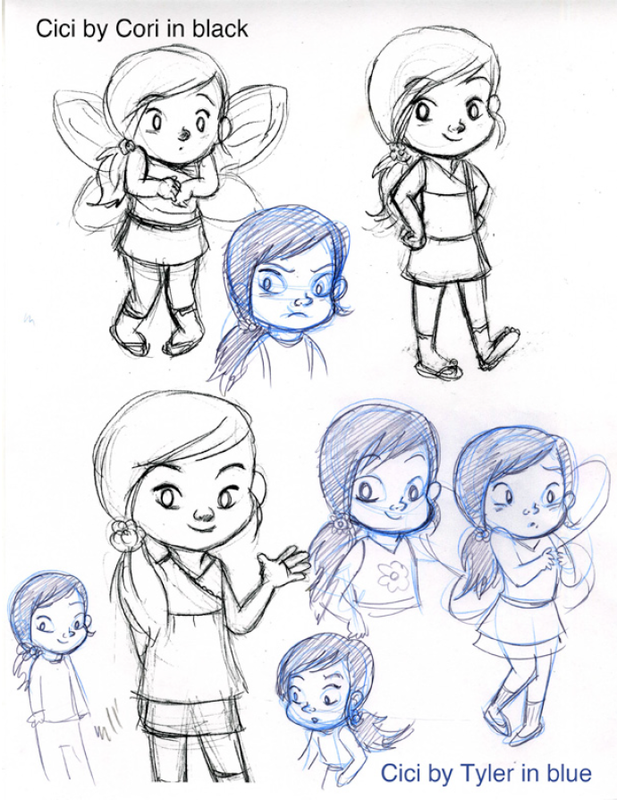 To read an interview with Cori Doerrfeld and Tyler Page (with tons of fun sketches, like the page below), click here. We’ll announce the winner on the blog on Friday, July 15. Good luck!